Sankofa Performing Arts Theatre presents “SANKOFA! A journey back.” REPEAT PERFORMANCE BACK BY POPULAR DEMAND!!! | ComeSeeTv Broadcast Network ... Can you See me Now! It’s a two part dynamic production which promises to mesmerize, inspire and entertain. The first part captures and presents the essence of ancient African life and delivers it with a modern twist. The scene will depict royalty, tradition, spiritualism, love and triumph. The second part celebrates who we are as a people. It showcases the diversity of our culture and emphasises our strengths. The entire production will add flavour to the Domfesta Festivities and promises to be thought provoking but fun. Sankofa Performing Arts Theatre was founded in 2008. Our aim is to offer a diverse range of professional dance forms while encouraging leadership and excellence as well as to building a strong future for the art form in Dominica. Sankofa can mean either the word in the Akan language of Ghana that translates in English to "go back and get it" symbolized by the Asante Adinkra symbols of a bird with its head turned backwards taking an egg off its back, or of a stylized heart shape. It is often associated with the proverb, “Se wo were fi na wosankofa a yenkyi," which translates "It is not wrong to go back for that which you have forgotten." Sankofa teaches that knowing where we came from will help us understand why and how we came to be who we are today. Sankofa has participated in several intensive workshops and performances over the years both local and regionally e.g. ; The Creative Outlet Summer Dance Intensive with Jamel Gaines in 2010. As we move forward, we now have a membership of junior members, made up of teen dancers who are very interested in the performing arts. They have been training with our creative directors, Hagana Dorival and Juanita Jules from January 2015. We are also currently working with Veronica Yearwood, the Artistic Director of Antigua Dance Academy, in training our dancers. Our aim is to train these talented dancers to their full potential exposing them to various styles of dance. We want to offer a proper curriculum yearly, where these dancers can train and become professionals in dance. Sankofa want to expose their talent through this production. 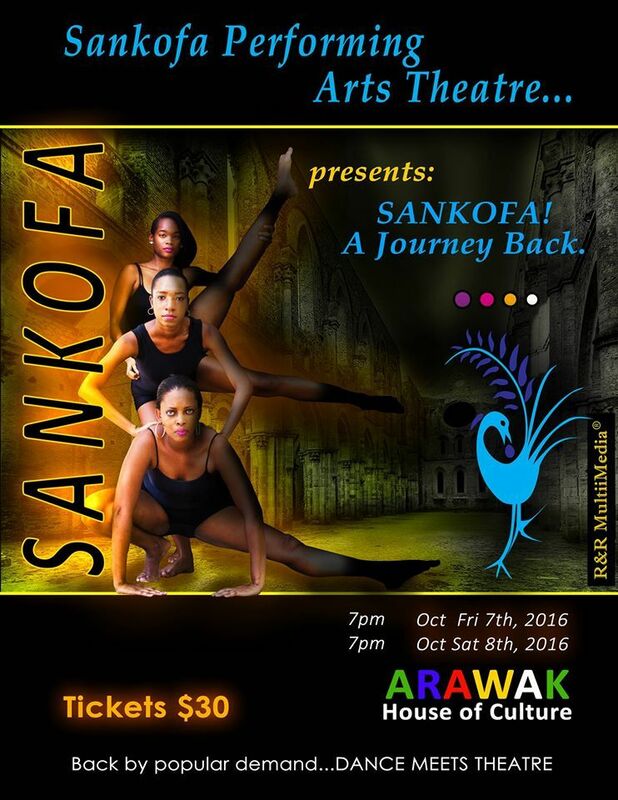 We hope that the exposure through the production will allow Sankofa to gain new young members and benefit from performances overseas. To learn more about our group or our events, please contact Miss Hagana Dorival at 1(767) 616-7842 or Velda Wade at 1(767) 295-2334. You can also look us up on Facebook at SANKOFA767 or email at sankofa767@gmail.com.